In the 1960s art fell out of time; both artists and critics lost their temporal bearings in response to what E. M. Cioran called "not being entitled to time." 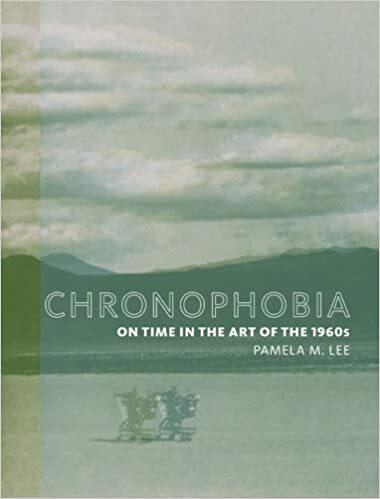 This anxiety and uneasiness about time, which Pamela Lee calls "chronophobia," cut across movements, media, and genres, and was figured in works ranging from kinetic sculptures to Andy Warhol films. Despite its pervasiveness, the subject of time and 1960s art has gone largely unexamined in historical accounts of the period. Chronophobia is the first critical attempt to define this obsession and analyze it in relation to art and technology.Lee discusses the chronophobia of art relative to the emergence of the Information Age in postwar culture. The accompanying rapid technological transformations, including the advent of computers and automation processes, produced for many an acute sense of historical unknowing; the seemingly accelerated pace of life began to outstrip any attempts to make sense of the present. Lee sees the attitude of 1960s art to time as a historical prelude to our current fixation on time and speed within digital culture. Reflecting upon the 1960s cultural anxiety about temporality, she argues, helps us historicize our current relation to technology and time.After an introductory framing of terms, Lee discusses such topics as "presentness" with repect to the interest in systems theory in 1960s art; kinetic sculpture and new forms of global media; the temporality of the body and the spatialization of the visual image in the paintings of Bridget Riley and the performance art of Carolee Schneemann; Robert Smithson's interest in seriality and futurity, considered in light of his reading of George Kubler's important work The Shape of Time: Remarks on the History of Things and Norbert Wiener's discussion of cybernetics; and the endless belaboring of the present in sixties art, as seen in Warhol's Empire and the work of On Kawara.